As a consequence of the REACH project (registration, evaluation, authorisation of chemicals), the European Union must re-test nearly 30 000 chemical products. 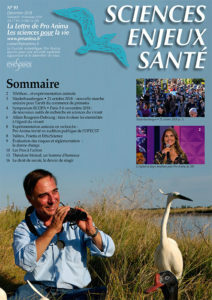 As no species can scientifically be used as the biological model for another, we ask, together with many European researchers, for ethical, sanitary and environmental reasons, the end of experiments on animals (obsolete tests sometimes dating back from the 19th Century) and the promotion of methods resulting from progress in biology and in particular from molecular toxicology (reliable, reproducible and economical tests). The petition is now avaible in 10 languages !